Fr. 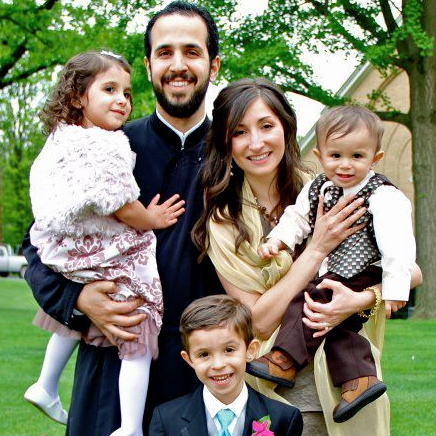 John Diamantis (Psychology ’02) lives in New York City with his wife, Mka. 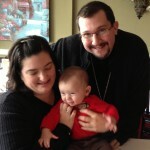 Andrea, and their son Stavros, born November 2012. As Chairman of the Department of College Ministry for His Grace Bishop Michael, Fr. John ministers to students throughout the Diocese of New York and New Jersey, and also serves as a district chaplain for the same area with the North American Orthodox Christian Fellowship. Currently, Fr. John is attached to Holy Trinity Orthodox Church in East Meadow, New York. There he is involved with a variety of ministries, both in the parish and in the New York City community, where he works to train and recruit foster parents. 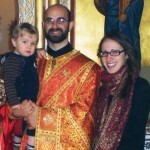 He expects to be officially assigned to St. Vladimir Orthodox Church in Trenton, New Jersey by Summer 2013 where he will be able to fully commit himself to the work of the Church. Thinking back to his time at Holy Trinity and the Penn State Orthodox Christian Fellowship (OCF), St. John’s gospel, “He must increase, but I must decrease.” (3:30) encompasses the spirit of everything he learned and experienced here. Missions and church service always have been a part of the Firoglanis family. Shortly after leaving Penn State, Fr. Hector (Biobehavioral Health ’99) and Pres. 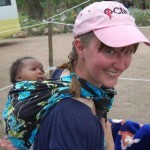 Katerina (Art Education ’02), served together on a Summer 2002 mission trip to Kenya. Immediately after the Paschal Liturgy the following year, Fr. Hector proposed to Pres. Katerina and they were married four months later. Fr. Hector attended Holy Cross School of Theology in Boston while Pres. Katerina taught at Theophany Preschool. After he graduated in 2004, Fr. Hector and Pres. Katerina studied Byzantine music and iconography, respectively, in Thessaloniki for a year before serving as long-term missionaries in Albania. After completing their term, Fr. Hector became the Assistant Priest of Annunciation Church in Lancaster, the same parish he and Pres. Katerina attended in their youth. 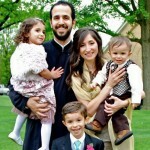 They now have three children, Christo, Evdoxia, and Vasili. Fr. Hector always thanks God for leading him to Holy Trinity where he discovered God’s calling during one of the most critical stages of his life. Fr. Gheevarghese John (Marketing, ’02), graduated from St. Vladimir’s Seminary in 2002 and was ordained to the Holy Priesthood on March 26, 2011 at St. Thomas (Malankara Orthodox Syrian) Church, where he currently serves. A prolific speaker and youth leader, and director of Way of the Cross Ministries, Fr. 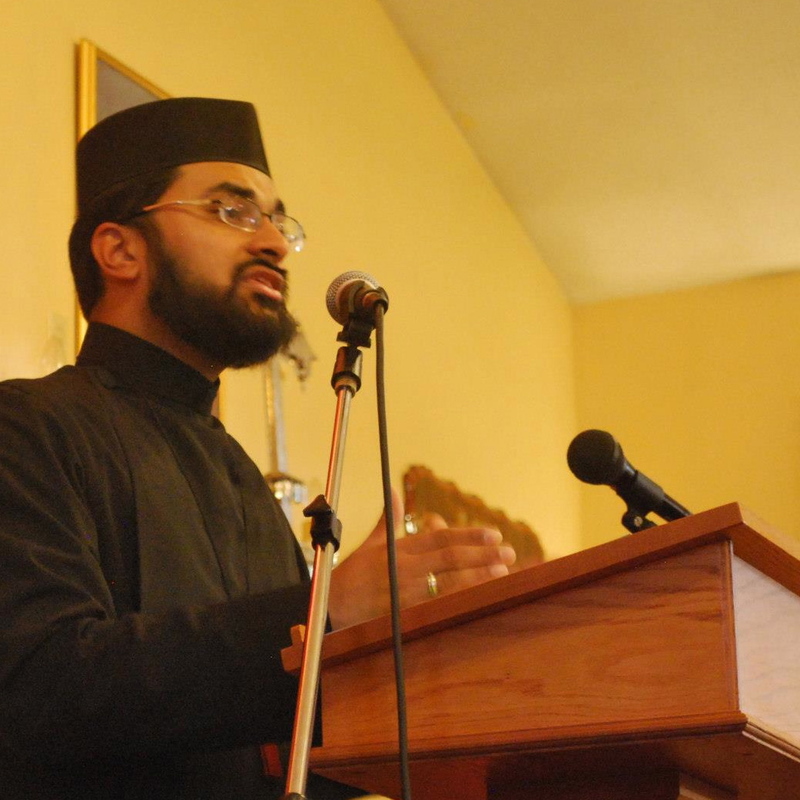 Gheevarghese is very active in campus ministry throughout the Philadelphia area, having been both the Secretary and Treasurer of the North American Mar Gregorios Orthodox Christian Student Movement (MGOCSM). Since 2005, he has taught Science and Math in the School District of Philadelphia. Fr. Gheevarghese married Linju Jacob on July 5, 2009. They have a daughter together, Bethenny, born November 27, 2011. 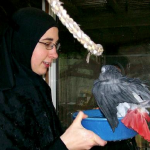 After diligently serving the St. Nicholas Church Choir (McKees Rocks, PA) Sister Helene (Mechanical Engineering, ’05) entered the Orthodox Monastery of the Transfiguration in Elwood City on July 26, 2009. Using experience she gained while singing at St. Nicholas and Holy Trinity, she has taken on responsibility for the monastery choir for all chapel services. She is teaching the community how to breathe, blend, enunciate, and sing as a genuine choir. For Dn. Alexey, his time in State College will forever be remembered as the place where his call to serve Christ was revealed. After his undergraduate studies (Civil Engineering/Water Resources, ’09), Dn. Alexey discerned a call to switch to “living water” (John 7:38) instead, and off to Holy Cross he went. Now in his final semester at the Seminary, he is a husband (married to his wife, Stephanie, whom he met at a Penn State OCF retreat), a father (Niko, born on Pascha 2011), and was just ordained to the Holy Diaconate in January. Dn. 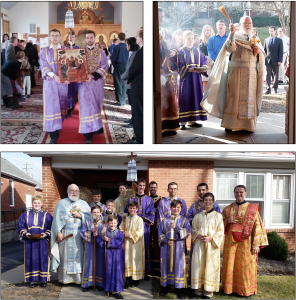 Alexey and family will be returning to Pennsylvania after graduating in May to serve somewhere in the Greek Orthodox Metropolis of Pittsburgh. 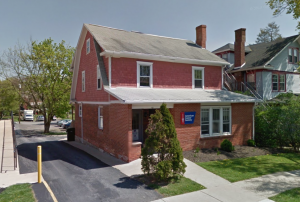 With regards to the future, he looks forward to sending as many youth to Penn State as possible, to supply an ample Orthodox student population for the ministries of Holy Trinity and the Penn State Orthodox Christian Fellowship. 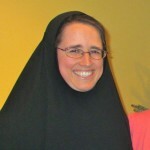 Sister Margarete (Liberal Arts, ’05) is now a member of Holy Assumption Monastery (OCA) in Calistoga, California. This monastery, the oldest for Orthodox women in the United States, was renovated over a period of twelve years, and Sister Margarete was part of an unexpected “transplant” of nuns to the property in 2009. The community is still developing means of supporting itself, including mounting icons, baking, and producing fine chalice wine in conjunct-ion with a local Napa Valley Orthodox parish. 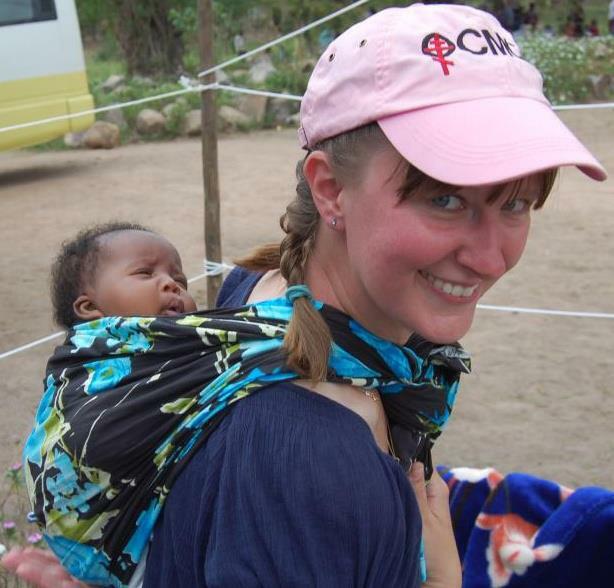 Maria Roeber (Nursing, ’04) is currently finishing a two-year term as an OCMC long-term medical missionary, providing health care to the people of Bukoba, Tanzania. Although only spending a year-and-a-half at University Park (she was studying in Greece, Danville, or Hershey from the second semester of sophomore year until graduating), Holy Trinity and Penn State OCF had a profound impact on her life. She fondly remembers going on an OCF trip to Holy Transfiguration Monastery with her sister (now) Sr. Margarete Roeber and (now) Sr. Helene Krenitsky. They laughed at the time about the “alternative” choice of a student celebrating her 21st birthday at a monastery instead of at a bar, and it remains one of her favorite memories from her college years. Friendships formed at retreats, service projects, and Real Break Spring Break trips more than ten years ago have lasted to this day, and she continues to be so grateful to God for them. Fr. James and Mka. 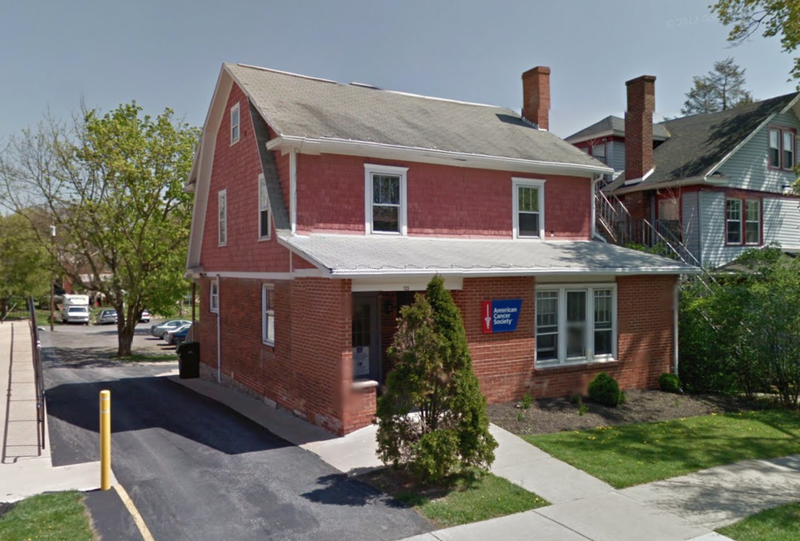 Lisa attended Holy Trinity while he worked as the administrative director of radiology at Centre Community Hospital (now Mount Nittany Medical Center). After leaving Holy Trinity to pursue a life of church service, Fr. James graduated from St. Tikhon’s Seminary in 2001. Throughout his priesthood, Fr. James has been connected with campus ministry, serving as the OCF chaplain at Bloomsburg University while acting as rector of Holy Annunciation Church in Berwick. In 2010, Fr. James and Mka. 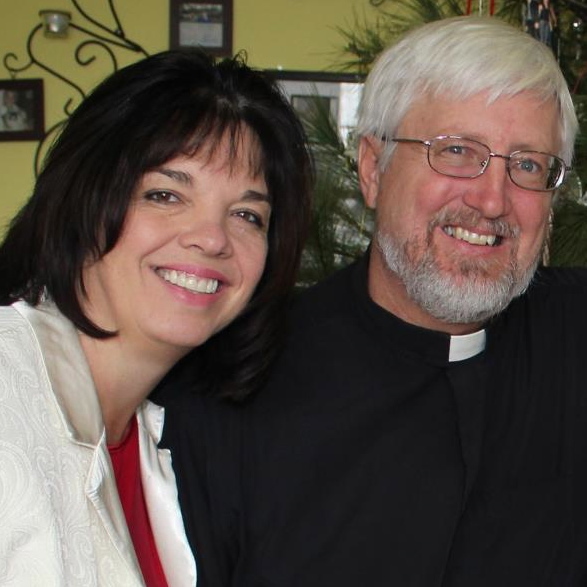 Lisa moved to Wilmington, home of the University of Delaware, to become rector of St. Michael’s Church. There he oversaw the completion of a half-million dollar Parish Hall construction project. He and Mka. Lisa have been married for 27 years. They have 2 children, James Jr., who is now 23 years old, and a daughter, Victoria (age 15). The decree was published within a few days of [Orthodox Ecumenical Patriarch] Bartholomew I’s request for the return of unjustly usurped properties to minorities… According to an initial calculation, the decree provides for the restitution of 1,000 properties to [Orthodox Christians]. 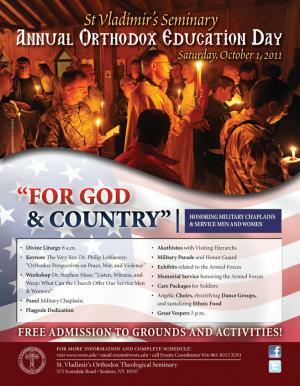 YONKERS [via svots.edu] – On Saturday, October 1, St. Vladimir’s Orthodox Theological Seminary here will honor military chaplains and service personnel at its annual open house, Orthodox Education Day. Activities will center on this year’s theme, “For God and Country” and will feature several liturgical services (including a memorial for departed veterans), ethnic food, discussion panels, and military-related exhibits courtesy of St. Tikhon’s Monastery Museum. Admission to the grounds and all activities is free. The Rev. Dr. Philip LeMasters will deliver the key-note address, “Orthodox Perspectives on Peace, War, and Violence” and US Army chaplain trainer Dr. Stephen Muse will lead a workshop exploring the emotional, physical, and psychological support we can offer veterans and their families. 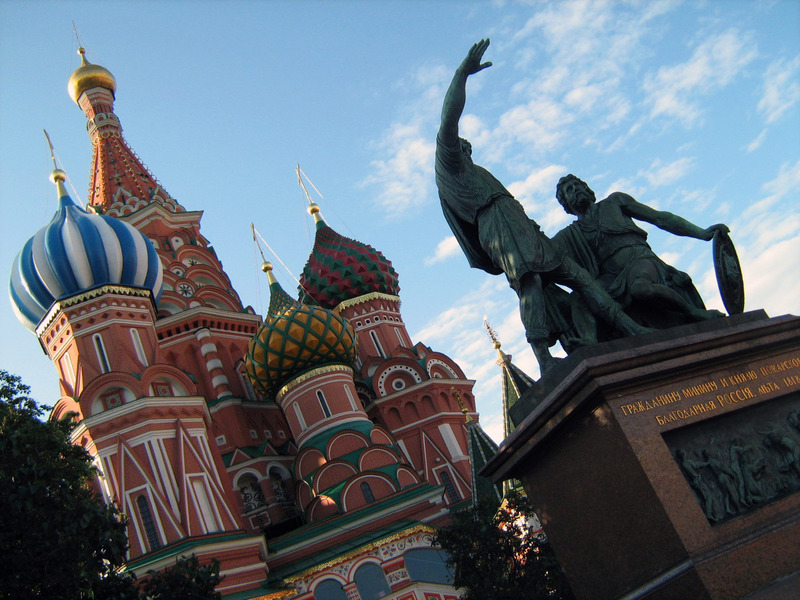 For more information, visit the St. Vladimir’s website. 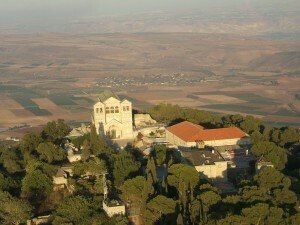 ISRAEL [via Interfax] – Science cannot explain a mystery of a cloud that every year descends on the Mount Tabor where, according to the Bible, the Transfiguration of the Lord took place. According to Sergey Mirov, a participant in the research organized by the working group on miraculous signs at the Synodal Theological Commission, Russian and Israeli meteorologists concluded that fog cannot be generated in such dry air and temperature. Mirov stressed that the “descending of the blessed cloud” takes place only in the territory of the Orthodox monastery. He said that during the Feast of the Transfiguration, the cloud appears above the cross of the church. It then grows and descends on believers, covering them and pouring life-giving moisture over them. Mirov’s group also examined the Holy Fire at the Church of the Holy Sepulchre in Jerusalem with the help of modern, highly accurate equipment. The lead scientist, Russian Academy of Natural Sciences academician Pavel Florensky, found that the appearance of fire there is accompanied with a “powerful piezoelectrical phenomenon” similar to those that take place during thunderstorms. But since no storm was present at the time, “this event can be considered miraculous,” he believes. 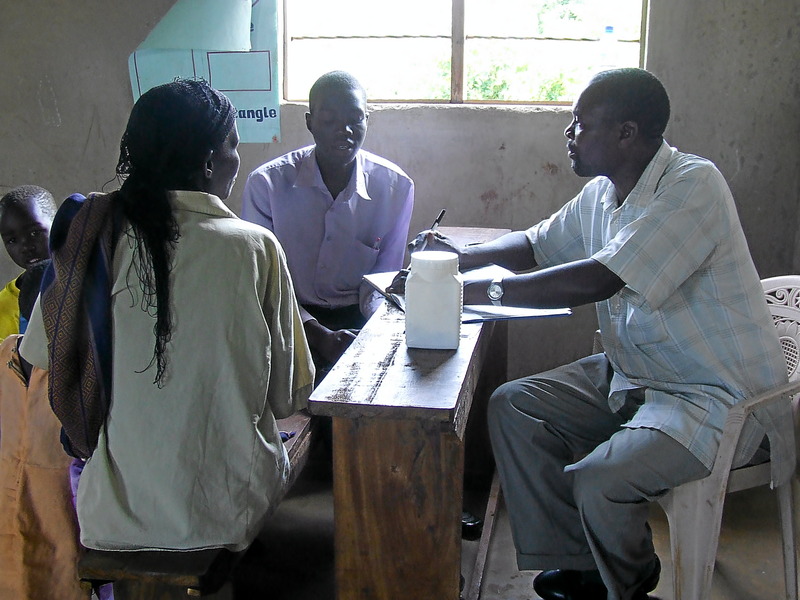 UGANDA – Missionaries now have effective malaria medicine to prescribe to more than 4,000 people here because of a 2011 grant provided by the Agape Canister Program, an outreach of the Orthodox Christian Mission Center (OCMC). 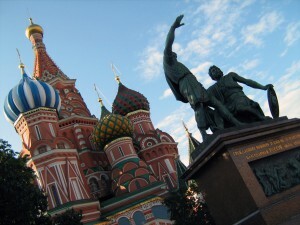 So far in 2011, this philanthropic and development outreach program has assisted nine projects in eight countries. Nearly 200 active partners, including Holy Trinity, oversee approximately 1,000 plastic canisters placed in offices, restaurants, parishes, and businesses throughout the United States and Canada. You can contribute by placing your spare change in the canister located in the Parish Hall.